Our latest challenge at Simply Create Too is Autumn Splendor. When I saw this digi stamp at Tiddly Inks called Wryn’s Leaves I knew it would make a perfect fall splendor themed card. I made two versions of the card. I coloured the image with Copic markers. Next, because I was trying to capture a moment in time, I thought using a poloriod frame from MFT was perfect. For the first card, I sponged the background of the image was distress markers, then popped the frame up with foam. I added some twine from my stash and a couple of die cut leaves. For the leaves, I used distress inks, smooched them on my craft matt, spritzed with water, then blotted a sheet of water colour paper. Once dry, I die cut various leaves. The sentiment is from PI. I used leaf dies from Lawn Fawn, MFT and Memory Box. Please join us. This Challenge runs from September 25th until October 9th. Our challenge this week is an inspirational photo challenge. I love waterfalls. When I look at this image I see moving water, so I tried to make the water appear moving. I started with creating the water using Distress inks. I tore the card stock to give the appearance of white caps then added two swimming ducks by Bugaboo Stamps – summer duck – dive & summer duck – swim. The sentiment, bubbles, and fish are from SSS – Best Fishes. This challenge runs from September 24th until September 30th. Please join us. Also please support our generous sponsors. Without them, we would not be able to provide our wonderful prizes. One of the best things about Christmas is the food. You can not beat Turkey and Dressing, with mashed potatoes, cranberry sauce, and all the extras. For this challenge I used a wonderful stamp by Heather Ellis. Her Esty store is currently closed, however, you can get a clear stamp version from MFT - Pure Innocence Turkey Time. I coloured her with Copics, fuzzy cut her out, then layered her on papers from my stash. For added dimension, I added some punched poinsettias (Nellie Snellon) and branches (Martha Stewart). Please join us from September 20th to October 2nd. After last week’s challenge, I am still in the Christmas Card mode. I used a wonderful little stamp by Scrappers Delight called Willie- Snow Angel. I started by colouring Willie with Copic markers. I added diamond Stickles to the snow angel lines, and snowflake gems. I used the Lawn Fawn patterned paper as my sentiment. This challenge runs from September 17th until September 23rd. Please join us. Please support our sponsors who support our challenges and provide our wonderful weekly prizes. Christmas is fast approaching, and it is never too soon to start adding to you Christmas Card Stash. For my card this week I used same wonderful dies that are all available at our sponsor’s retail store at Sweet Stamps.com. 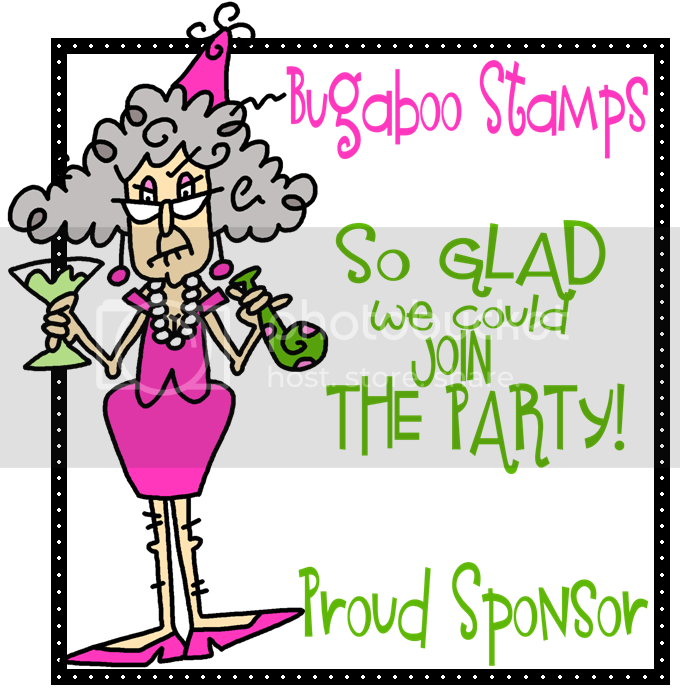 They also have a fabulous line of their own digital stamps. 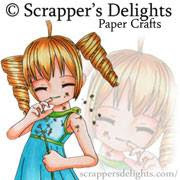 I listed the dies and supplies with direct links to Sweet Stamps’ below. This challenge runs from September 10th until September 16th. Please join us. Also please support our sponsors. Their generosity provides us with our wonderful weekly prizes.